Mark your calendars for Earth Day 2019 (April 17) and the opening of Disneynature’s Penguins. 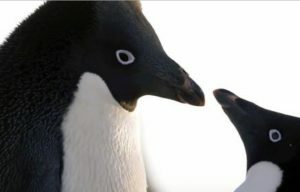 This is truly a special film with plenty of fun for the entire family.The film focuses on Steve, an Adélie penguin who is entering the adult world and for the first time joining the other males in starting a family. According to director Alastair Fothergill, not all penguins are created equal. 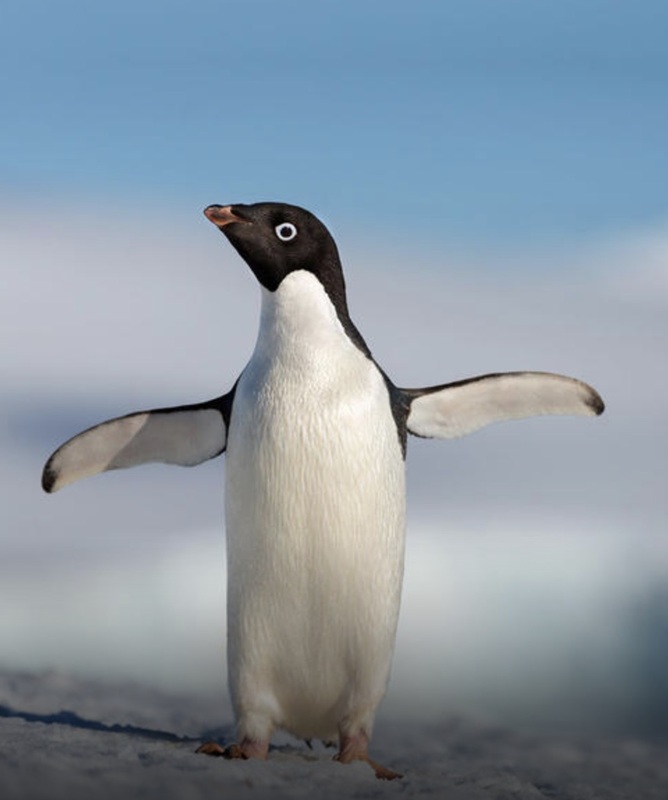 “The Adélie penguin is by far the most characterful penguin on the planet,” he says. “People may be more familiar with Emperor penguins, but they’re actually pretty mellow. I like to say that Emperor penguins are the California surfers and Adélie penguins are New York City taxi drivers. They have attitude. They’re feisty. They have an extraordinary amount of expression in their eyes. They almost look animated. And I knew—with their big personalities—the film would have a lot of comedy.” And Steve definitely has a big personality. Little Steve is late to the party. He’s one of the last males to arrive at the colony where the other males have already been building their rocky nests. Then the females arrived and seek out their former mates and for newcomers they must find their new mate. Luckily for Steve Adeline is attracted to him and lo and behold, they start a family with two eggs. 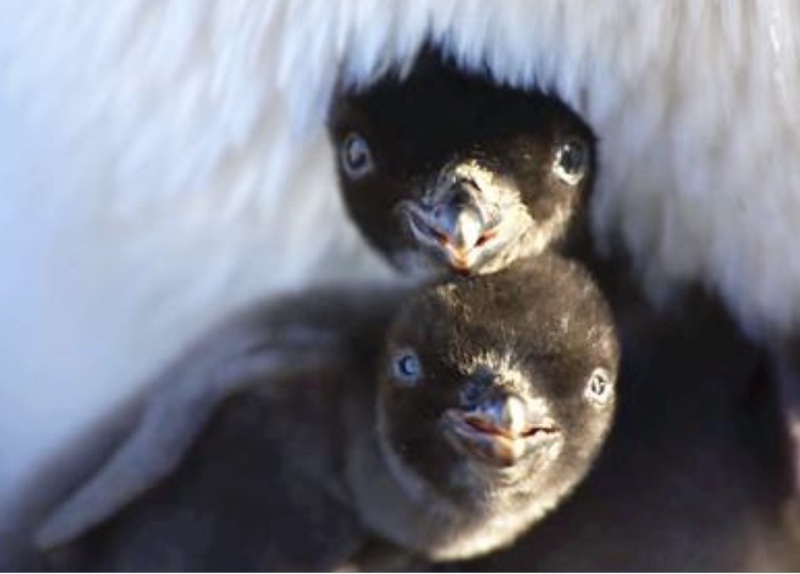 After the little ones hatch, it is up to Steve and Adeline to feed and care for their chicks and teach them how to survive so when fall comes and the colony retreats to the open waters, they will survive the dangers that every penguin faces both on land and in the ocean. 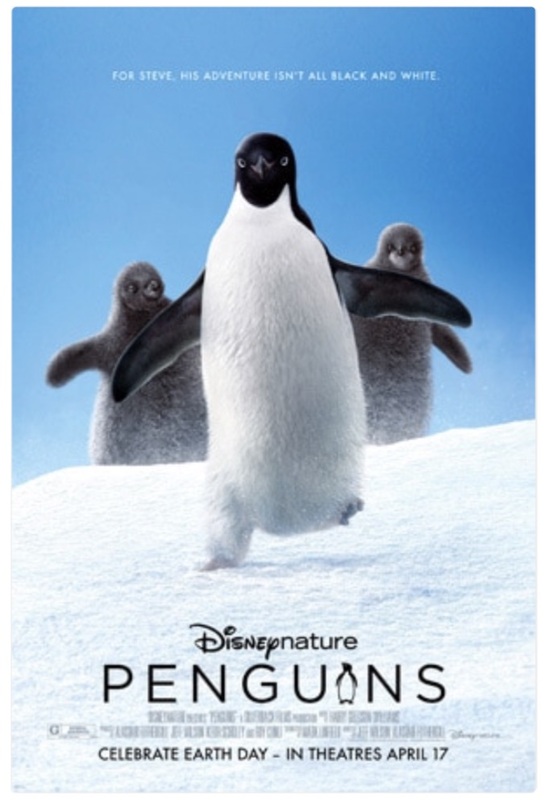 Penguins marks the 10thanniversary of the Disneynature films. It’s their eighth film, following Earth, Oceans, African Cats, Chimpanzee, Bears, Monkey Kingdom, and Born in China. The story of Steve is a delight and the film is rated G, however there are some scenes of penguins being eaten so keep that in mind when you bring your family. Luckily for Steve (spoiler alert), he and his entire family make it safely through the summer and back out to the ocean to hopefully return the following spring. These fellows are about 27 inches tall and weigh between 6 and 13 pounds. 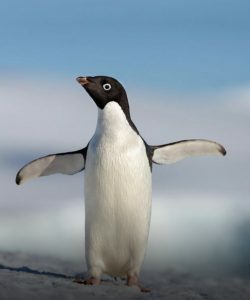 They live in colonies and gather rocks to keep their eggs off the cold ground of Antarctica. The eggs hatch approximately 30 days after being laid and both parents take turns fishing for food and feeding their chicks. Their biggest danger is the leopard seal. For every ticket sold during opening week of Penguins, Disneynature will make a donation to the Wildlife Conservation Network to help protect penguins across the southern hemisphere. So, gather your family and enjoy Steve and his friends and family as everyone celebrates Earth Day. Penguins is fun for all and a great way to learn about these amazing beings.